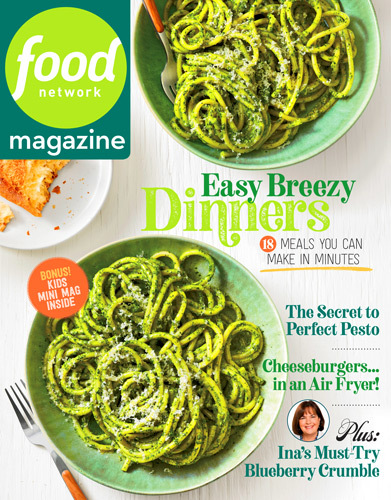 Food Network Magazine is America's best-selling food magazine on newsstands—and every food lover's essential handbook. Each issue is packed with star recipes and tips, behind-the-scenes scoops and creative ideas for home cooks. Whether it's a quick weeknight meal or planning a dinner party, Food Network Magazine helps you experiment with new ideas and add a unique signature twist to every meal. Get the inside story on your favorite Food Network stars, plus more than 100 fun recipes in each issue!